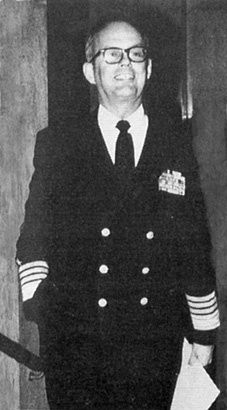 Bobby Ray Inman joined the Navy in 1951 and worked his way up through Naval Intelligence until he achieved the rank of four-star admiral. Admiral Inman was President Bill Clinton's nominee for Defense Secretary in 1993. His nomination survived a minor scandal involving $6,000 in unpaid payroll taxes for his part-time housekeeper, but it was finally scuttled by a scathing column in the New York Times by William Safire. As Deputy Secretary of Defense, Inman had decided to limit the amount of satellite surveillance the Pentagon would furnish to Israel. "In early 1981 when the Israelis bombed the Iraqi nuclear reactor, I looked at the distance on the map from Israel and Baghdad and thought, 'I wonder how and where they got the targeting material?' We had long-established procedures that in honoring our commitment for Israel's defense, we permitted Israel to requisition satellite photography of potential direct threats to their systems. When I asked what materials had been drawn under that process for the last six months, I found not only a lot of information on Baghdad had been drawn, but also on other countries substantially removed from Israel -- Pakistan, Libya. And I made the decision as the Deputy Director of Central Intelligence, the acting director, to limit the process, to say that in the future they could draw material within 250 miles of the border, but beyond that, they would have to ask." "There is a very real and critical danger that unrestrained public discussion of cryptologic matters will seriously damage the ability of this government to conduct signals intelligence and the ability of this government to carry out its mission of protecting national security information from hostile exploitation. [...] While some people outside NSA express concern that the government has too much power to control nongovernmental cryptologic activities, in candor, my concern is that the government has too little."